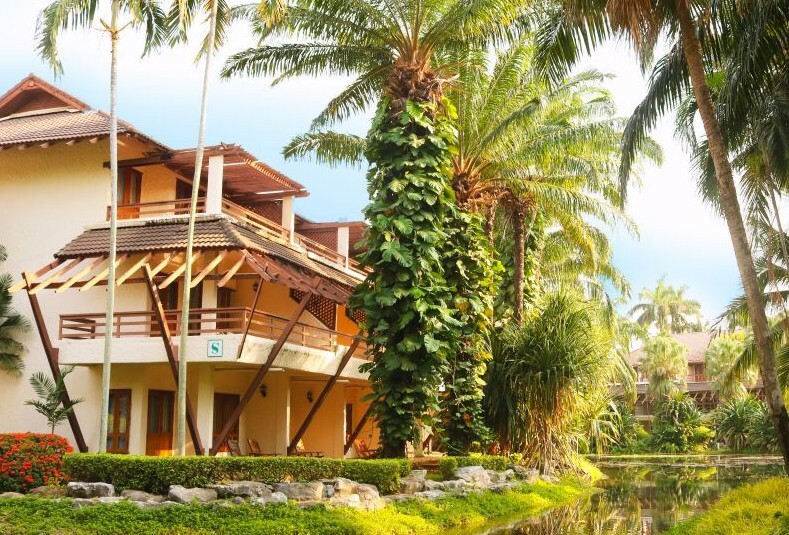 Felix River Kwai Resort Kanchanaburi being the only 4 stars property in Kanchanaburi is built on a 130-rai plot of pristine riverfront land adjacent to the world famous Bridge on The River Kwai. Each of 255 rooms luxuriously appointed residences offers spacious interiors with warm wood finishing and private balconies that open out to spectacular gardens or magnificent view of the River Kwai. In additional to the full amenities and an uncompromising standard of service, there is also a complete range of facilities which included two large swimming pools, spa, saunas, a health and massage center, a fitness center, tennis courts and jogging track along the riverside and outstanding food, Convention hall and, Banquet and beverage outlets.